Segments in BILLmanager are one of the key tools for managers and marketing specialists. By using Segments you can segment your customer base per different conditions and work with each of the groups separately. In this article I will tell you about how you can use segments and how they can help you. Step 1. Create a segment. Enter your BILLmanager as administrator to add a new segment. 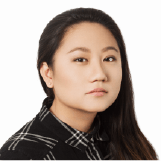 Go to Marketing — Client segments — Add. Step 2. Name. Give a simple name to your segment. It will be easy to find it once your list of segments gets too long. customers spending less than 4 euros per month. After you had pressed on OK, BILLmanager will send you back to the page with the list of all segments. You need to find the segment you need. You can use the manual search, CTRL+F, or utilize the search field in the top right corner. Step 3. Create conditions. Select the segment — Conditions — Add. Step 4. Rule type. The rule type is the standard list of criteria for the upper level segmentation. The Rule type defines all further parameters. Step 5. Group of conditions. 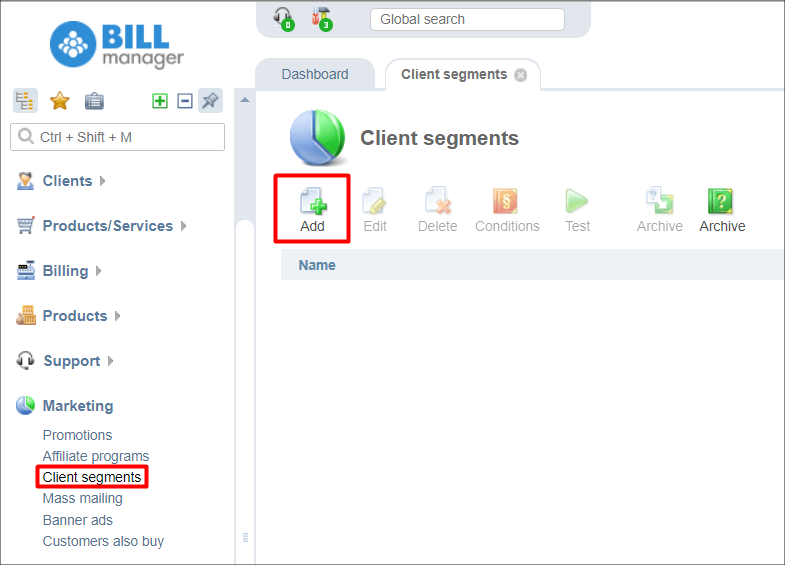 BILLmanager offers the two options: without group and add a new group of conditions. Both are logical operators AND and OR. If we have selected without group and then set up two levels of client filtering, then these conditions will come into action independently. In other words, a client will be in this segment if at least one of the conditions is met. If you have chosen add a new group of conditions and specified two conditions, then only customers meeting both criteria will be selected. The field Group name will appear if Add a new group of conditions is selected. In this field you need to specify the internal name. Step 6. Clarify conditions. Step 6 provides different parameters depending on the Rule type. If you need to segment your clients per services, you will see the list of services. If you have selected filtering per charges or payments, then BILLmanager will suggest choosing a range of digital values. Let’s imagine that we have three hosting tariffs: Small, Medium, Enterprise. Also you sell additional services like SSL, backups, and paid technical support. Your clients buy hosting with different addons e.g. it can be hosting with a domain, one SSL certificate, etc. There are also those who don’t buy anything. By using Client segments you can easily sort out your clients per various conditions. You will see customers who have registered but bought nothing. But no one registers without a reason. Maybe your users faced difficulties with payment or tariff selection. You can sort out such users and ask them. Also you can specify any tariff for “No service”, so that you would see the list of clients who have NOT ordered this tariff. You can select only one service for the group “Clients have specific services”. If your client have purchased Small hosting and SSL, they will appear in this segment anyway since you have established only one condition. Let’s try to narrow down the criteria. Then we add one more condition to the same group. We have created the segment with clients meeting two conditions: they have Small hosting but they don’t have SSL. Clients having both of these services will not appear in the given segment. I guess you have already understood how segmentation could be used :) You can sell SSL to clients who have not purchased it yet, thus increasing the average bill and revenue and boosting loyalty of your customers by making their website more secure. Profit! Let’s imagine that Small Hosting costs 10 euros per month. Also you offer addons: domain for 5 EUR/month, website builder for 4 EUR/month, SSL for 4 EUR/month. By creating a new segment “Clients spending less than 4 EUR” we can find those customers who buy low cost services but not hosting. However, it doesn’t mean that we don’t want to sell hosting in the first line, does it? Let’s take clients from this segment and use on them other BILLmanager marketing tools: sendouts, ads, promos, etc. If you have any questions on how Segments work in BILLmanager, please let us know in comments or create a ticket. We will be happy to help!